MTD SMART lawn tractors are practical, robust and reliable. Thanks to the small turning radius of 46cm, mowing around bushes and beds is safe and simple. 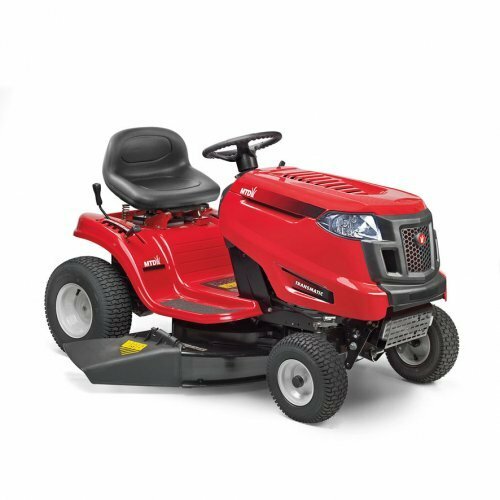 All tractors also have a step through frame, making it easy to get on and off; a beverage holder, an adjustable seat, head lights and ergonomically designed control elements for deck engagement and transmission. The cutting height can be easily adjusted to five positions between 30mm and 95mm. Cutting System: 30-95mm / 5 positions. Measurements: L: 170 / W: 107 / H: 100cm.